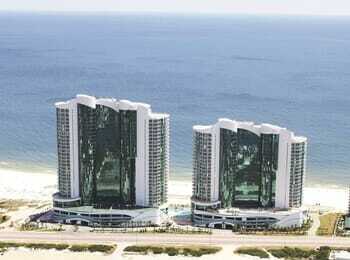 Turquoise Place is the premier resort in Orange Beach Alabama. You enter a world of luxury as soon as you arrive, greeted by our soaring glass towers, spacious 3,4, and 5 bedroom gulf-front condominiums, and our courteous on-site team members. Turquoise Place is your escape from reality – a place to reconnect with loved ones, create memories, and enjoy the very best the Alabama Gulf Coast has to offer. Turquoise Place brings the luxury service of a five-star hotel to the comfort of a condominium, and as a Spectrum Guest, you have the ability to experience Turquoise Place at an entirely new level. Our spacious and luxurious condominiums provide the perfect setting for families both large and small. Ranging from 2,304 square feet to more than 5,000 square feet, you will have plenty of room to enjoy a family meal in our chef ready kitchens furnished with Wolf and SubZero appliances or watch the sunset on our spacious balconies with a private hot tub and outdoor kitchen. 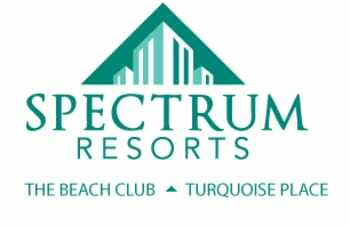 As the exclusive onsite management company and operator of the resort’s amenities, Spectrum Resorts offers the largest selection of vacation rentals at Turquoise Place. All of our units are held to the highest quality standards on the property, and they all come with the Spectrum Experience – a new way to enjoy the best of Turquoise Place without the hassle, and includes our exclusive Clean Bed Guarantee, special discounts and perks, concierge services, and complementary activities for the entire family. The Spectrum Experience at Turquoise Place – vacation better than it was meant to be. Take Neofill ticket to iHeartMedia at 555 Broadcast Dr. Mobile, AL to recieve your Gift Certificate for your vacation! Advanced reservations are required. Not valid Memorial Day weekend through Labor Day weekend. Subject to availability for special events and major holidays. Certificate has no cash value and is nontransferable. Reservations are restricted to consecutive nights. Recipient is responsible for the cleaning fee upon arrival.